Multiply and Divide integers in this exciting multiply and divide integers math test in the form of multiple choice questions as well as drag-and-drop questions. This is a chance to see how well you understand multiplying and dividing integers. 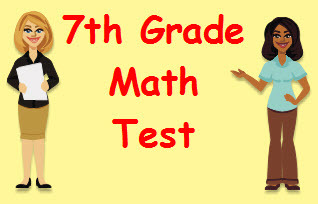 This test gives you a chance to test your math skills as you multiply and divide integers by giving you feedback. Return from this Multiply and Divide Integers Math Test to the Middle School Math Tests , 7th Grade Math Tests webpage, or to Math Tests.